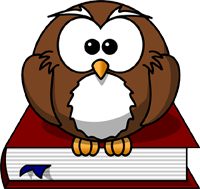 A wide sampling of curriculum materials have been added to the Library District collection including instruction manuals, student books, workbooks, testing materials, and more. The items - which cover core subject areas like reading, writing, math, and science, and which can be used with various ages, grades, and learning levels - were donated by Northern Colorado Homeschool Association and are designed to support a variety of home-based instruction. The resources are useful to preview and try out curriculum before deciding what to include in your homeschool instruction.